After installing Blox, activating you licenses and learning a bit about the plugin’s terminology, you will likely want to configure the Blox settings. The settings page is accessible from the Blox menu in the admin navbar. Settings are broken into different tabs for ease of use. Note that all license settings are separated into their own admin section. See the screenshot above. The General tab controls block editing permissions as well as where local blocks are enabled. See the screenshot below. Determine who can create and edit global blocks. Blox can be a very powerful plugin, especially if you are implementing PHP or scripts through the raw content option. The default is set to admins only, but you can adjust this as you see fit. Works the same way as the Global block disable option. Easily disable all Local blocks on your website. Local blocks can be attached to any public post type on your website. This includes posts, pages and other custom post types. In the screenshot above, you can see the Downloads custom post type. By default, Local blocks are only enabled on posts and pages. This setting allows you to choose which post types can have Local blocks. Note: Disabling a post type will also automatically hide any Local blocks that had been previously added to posts of that type. The blocks will show back up if you re-enable the post type. This is exactly the same as the global permission settings and determines who can create and edit local blocks. The default is set to admins only, but you can adjust this as you see fit. The Defaults tab is a bit incomplete. Currently, the only defaults for Blox are for positioning. As additional features get added to the plugin, you may see new settings appear on this tab. Set a default position for all Global/Local blocks. You can of course set custom positioning on each individual block as well. Set a default priority for all Global/Local blocks. You can of course set a custom priority on each individual block as well. This settings tab was added in Blox version 1.1.0. If you are using a prior version, you will need to update to make use of these options. The Hooks tab allows you to control the Genesis hooks that are made available to the Position tabs of both Local and Global blocks. Here you can pick and choose the hooks you want to make available and also rename the hooks as you see fit. 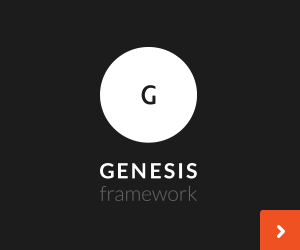 The power of Blox centers around the use of position hooks, however Genesis is not the only “thing” that adds hooks to your website. There are many third-party plugins that have their own hooks for various reason. That are also Genesis child themes that supply additional hooks when the available Genesis hooks just don’t quite cut it. And if you are a developer, you might write your own page templates that make use of custom hooks. The Custom Hooks setting lets you make custom hooks available to Blox thereby allowing content to be added to these new locations. Simply enter your hook slug and enable. While you can add styling to each block individually, the Style tab allows you to set styles for all Global and Local blocks. These settings allow you to add custom CSS classes to Global and Local blocks. This is convenient for targeting all blocks of a specific scope at once. The custom CSS setting prints any CSS that you enter to the frontend of your website. Most of the time you will be making your custom CSS edits directly within the block that you are working on, but you can use this option in conjunction with the Global/Local Custom Classes to great effect. Blox ships with some very basic default CSS for static images and builtin slideshows. This setting allows you to disable the default styles for the entire plugin. You can also disable default styles on the block level. The Misc setting tab contains options that do not quite fit in the other sections. This is another section that will likely see additional settings as Blox evolves. This setting allows you to customize the title of the metabox that is used to add Local Blocks. Some admins may want to customize this for their clients that use Blox. By default, if you uninstall Blox, all of the data created by the plugin will still be stored in your website’s database. Therefore, if you were ever to reinstall the plugin, all of your Blox data would reappear. Enabling this option will permanently delete all data when you uninstall the plugin. If you have not activated your Blox license, or Addon licenses, notifications will appear letting you know that you are not receiving automatic updates and that there are issues with your licenses. Check this option to suppress all notifications. Note that you will not receive support for Blox without a valid license.